Needle-punched batting is created when thousands of tiny barbed needles interlock the polyester fiber for a blanket quality consistency. This produces a batting that is easy to handle, drapes well and can be quilted by hand or machine. 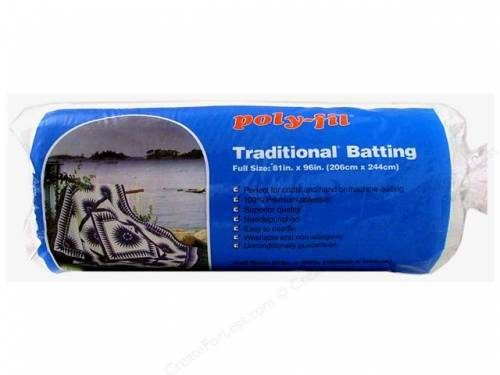 This batting is great for all quilts that require repeated washings and for home decor. This 100% premium polyester is non-allergenic.